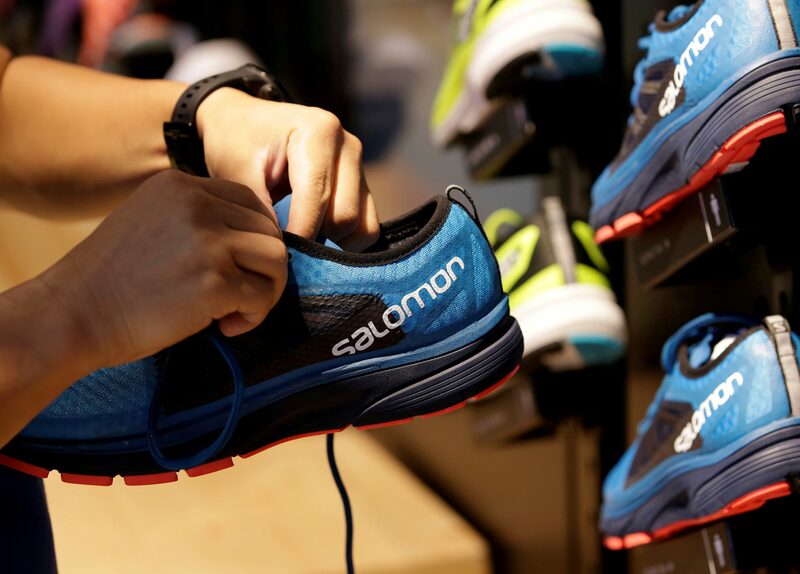 A shop assistant holds a shoe at a Salomon store in Beijing, China August 10, 2018. Picture taken August 10, 2018. Finnish sports equipment group Amer Sports said on Sept. 11 that it has received a non-binding approach from a consortium of buyers including China’s Anta Sports Products and Hong Kong private equity group FountainVest Partners. The all-cash offer of 40 euros per share values Amer Sports’ equity at 4.6 billion euros. Amer Sports’ shares rose 25 percent to 36 euros by 1130 GMT on Sept. 11.